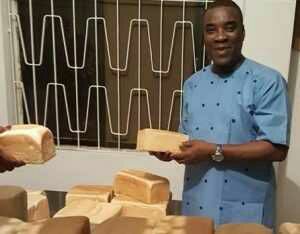 Come Wednesday the 1st of November 2017, Fuji legend Wasiu Ayinde Marshal will open a bakery company namede Anjola Bakery. K1 who rose to enduring fame with his Talazo 84 album many years ago has been somewhat quiet on the music-making front for some time now, even though he remains in hot demand when it comes to performing at events. The husband of beautiful Fathia Opeyemi has started thinking of life after music, having celebrated his 60th birthday earlier this year. Thus he created Brampton Gizalink Group as his ticket into post-music financial security. BG Group which specialises in construction, dredging and sale of music equipment, has been bringing in the bucks. 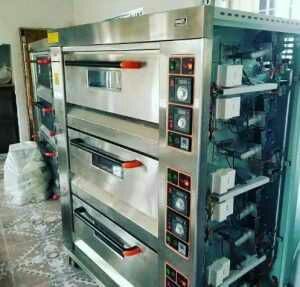 With Anjola Bakery set for launch soon with state of the art facilities and equipment, a confectionary arm has been added to the umbrella group. Admirers of the legendary musician will be hoping the new bakery contains the musical essence of K1. That way, their palates can sing to the taste of delicious bread, while their bodies sway to his ‘yummy’ music.